Patti Callahan Henry will be one of the featured authors at the Hoover Public Library’s Southern Voices conference Feb. 22 and 23. 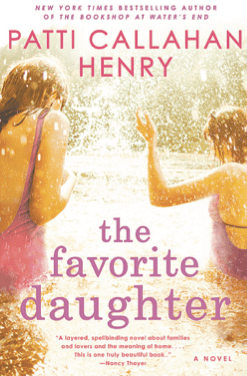 Henry’s next book, “The Favorite Daughter,” is slated to be published in June. Photos courtesy Penguin Random House. 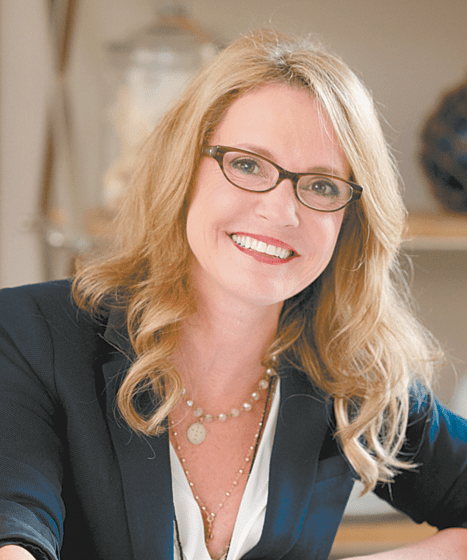 Joy Davidman may have died nearly 60 years ago, but for Mountain Brook author Patti Callahan Henry, she’s begun to take on “a life of her own” again. Much of the book’s characterization of Davidman and Lewis comes from those letters and other writings, which Henry said she spent years reading in order to understand, and, in a way, to be able to revive, the couple as living, breathing characters. Henry said she was drawn to explore Davidman’s life because Davidman is often eclipsed by her more famous husband. Even her death – in 1960, at age 45, of cancer – is usually understood through the lens of Lewis’ “A Grief Observed,” a series of essays exploring his bereavement at her loss. Henry’s next book, “The Favorite Daughter,” is slated to be published in June. At first glance, the historical romance of “Becoming Mrs. Lewis” appears to represent a departure for Henry, whose previous nov- els, such as 2009’s “Driftwood Summer” or 2017’s “The Bookshop at Water’s End,” are typically dramas set in the present day. But it fits neatly into her oeuvre as a document of a woman coming to terms with, and moving on from, her troubled past – a common theme throughout Henry’s work. Henry’s next book, “The Favorite Daughter,” is slated to be published in June, and it focuses on a woman who returns home from New York to care for her ailing father, who has Alzheimer’s, and finds herself forced to confront both her strained relationship with her sister and her father’s secret past. “That one is very much about the role memory plays in our lives,” Henry said. In its own way, “Becoming Mrs. Lewis” is also about the power of memory, giving depth and life to an often-forgotten corner of our collective cultural memory. Patti Callahan Henry will be one of the featured authors at the Hoover Public Library’s Southern Voices conference Feb. 22 and 23. The conference will also feature Bryan Stevenson, Rick Bragg, Gin Phillips and Emily Saliers of Indigo Girls. For more information and to purchase tickets, visit hooverlibrary.org/sv.